Seyi Oyesola was born in Nigeria, but spent much of his childhood growing up in Cleveland, Ohio in the USA. After graduating from high school in 1975, Mr. Oyesola returned to Nigeria and obtained his Bachelors of Science Degree and, in 1986, his Medical Degree from the University of Lagos. In Nigeria Mr. Oyesola was discouraged by the lack of medical facilities, especially in the country’s rural areas. He also was saddened by the many people dying from common, survivable ailments and injuries such as burns, trauma, and heart attacks because basic medical care was often so difficult to obtain. In 1996, while living in the UK where he had obtained some of his specialized training in anesthesiology and critical care, Dr. Oyesola founded a company called Practice Ventures. Practice Ventures supplies the best high-tech medical equipment and training to African hospitals. The ‘best’ medical products are often the least expensive, most sustainable and most versatile. An example is iVent, a ventilator that does not use compressed air, costs half the price of other ventilators and, unlike most ventilators, has the versatility to be used for children, adults, and in transit. 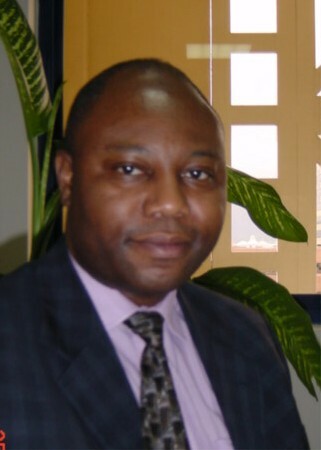 In 2005 Dr. Oyesola collaborated with Alexander Bushell, an English engineer and co-developed CompactOR, a “hospital in a box,” that had the ability to bring surgical care to every part of Africa. The Oyesola-Bushell team was a natural one. Bushell’s experiences in rural Kenya were akin to Dr. Oyesola’s in Nigeria; emergencies that could have been handled readily were not, due to a lack of access to basic equipment. Since the CompactOR portable operating theater was launched in 2007, it has transformed the medical care that is available in rural areas, including those that are inaccessible by road, because the “hospital in a box” can be delivered by jeep or by helicopter and set up in ten minutes. The portable hospital is a complete operating room with all the tools necessary including defibrillators, EKG monitoring, anesthesia, and surgical lighting. It, like the products supplied through Practice Ventures, is versatile; it can be powered through standard means, but also by a solar panel, a car’s 12 volt plug, or a foot pedal. It can be customized for oral surgeries, such as the removal of wisdom teeth or used for routine operations to remove cataracts, gall bladders, or appendices. It has been used successfully for hysterectomies and even heart surgeries. The basic hospital in a box costs less than £50,000 (around US $77,350) which is one fifth the cost of what had been available to provide the same services. Dr. Oyesola’s good work and innovator awards for hospital in a box led to him being invited to give a TED Global talk in 2007. He used the platform to explain the challenging work conditions that Nigerian medical professionals face. He also noted that although basic care at hospitals is not as ‘popular’ with overseas donors as anti-malaria projects or HIV/AIDS interventions, that it is an area in which much could be done, especially if undertaken with some care rather than gifting outdated, obsolete, non-functioning, or non-reparable medical equipment. Dr. Oyesola is a strong proponent of medical professionals remaining in Nigeria and giving back to the country, although the decision to remain and serve is not an easy one given the meager salaries doctors earn. The decision may even be life threatening because there are many road accidents and hospitals are not up to desired standards. Major hospitals have anesthesiology machines and other equipment that is literally taped together. They often have unsanitary floors and dispense dangerous fake or adulterated medicines. Dr. Oyesola has taught at the Imperial College School of Medicine and currently is the Chief Medical Director of Delta State University Teaching Hospital (DELSUTH) in Nigeria. Commissioned in 2010, DELSUTH is a world-class facility. Its medical staff made history when they performed the first successful kidney transplant at the facility in 2014. Based on the literature on international development and personal success, why have Dr. Oyesola and his “Hospital in a Box” been so successful? Dr. Oyesola sought SUSTAINABLE solutions to medical problems. Much of the equipment in his mobile hospital can be repaired by those using it. Dr. Oyesola is not opposed to foreign aid, but believes that much of it has been ineffective because it was not CULTURALLY APPROPRIATE. He believes that the best advances are likely to come from AFRICAN SOLUTIONS, on which there has been too little focus, to AFRICAN PROBLEMS, for which there has been too much mass media attention. Dr. Oyesola believes in COLLABORATION and TEAM WORK. He knows that what we can achieve collectively is greater than the sum of the individual contributions. Although designed for use in rural Africa, hospital in a box has potential applications well beyond, including in disaster zones and military situations worldwide.